New Limited Print Offer Makes a Perfect Holiday Gift! I've been looking forward every month to each limited print offer that we've been featuring, since it's been an opportunity for me to really see what you all respond to. We've been featuring a variety of classic and newer paintings of mine in a series of moderately sized and priced archival signed reproductions that are offered for a few days only and then taken down from the catalog forever, and the response has been very encouraging. 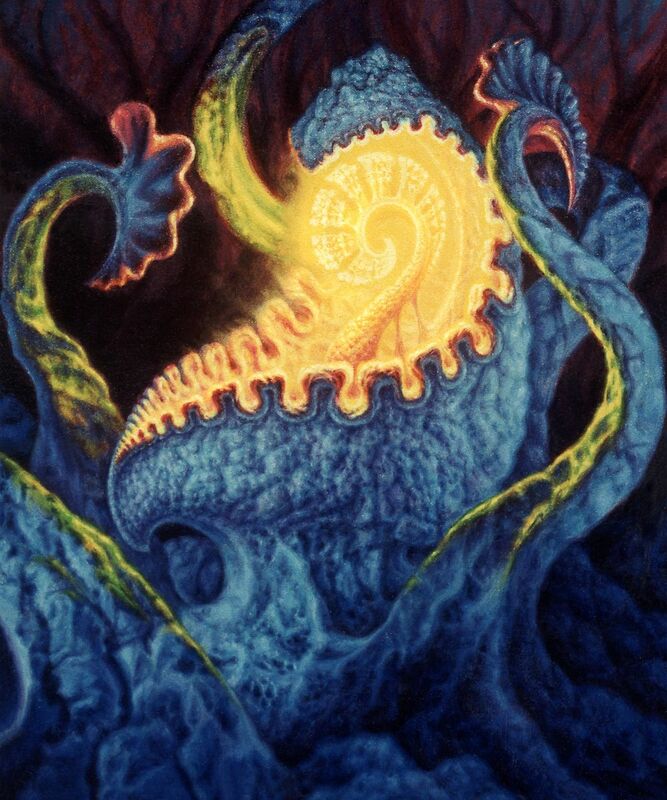 This week I'm putting up one of my classic images, PodCoil II, from 1999. This was one of my early experiments with building clay models to get my lighting and texture more realistic, and still stands out as one of my more iconic images from that period. The print is 11x14" plus a 1" colored border for mounting purposes, and has been carefully color matched for maximum impact. Signed, archival for 125 years, $50. Available only until December 7, then it's being taken out of the catalog forever. 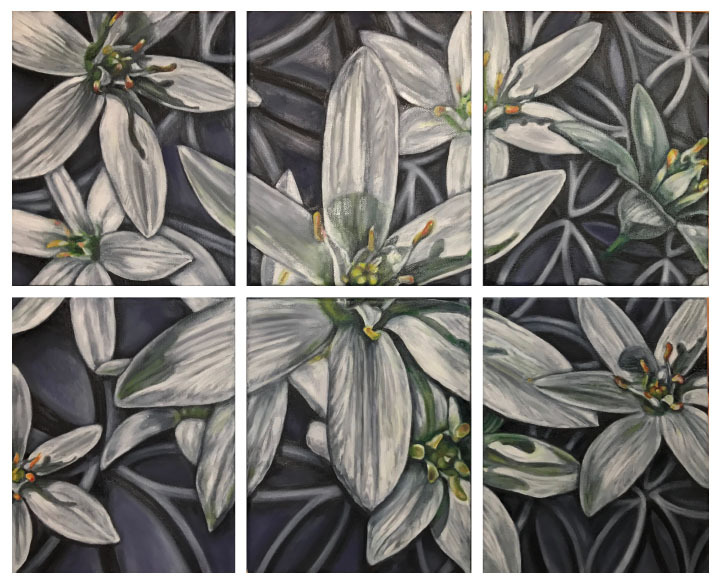 My partner Michele's latest print, Star Of Bethlehem, is still available and makes a stunning gift for anyone with a modern sense of aesthetic. Due to the unexpected response, she's extended her special holiday pricing until next Wednesday as well; it's 6 images that work as a single reproduction, 20x24", signed on archival canvas, $75. You can read about its special symbolism on her Instagram profile, or check it out at the Hyperspace print gallery where it's listed next to my new limited print. We are very excited about the high quality of prints we are getting now that we are producing them in-house, and these two new prints are great examples of the kind of gifts (including gifts to yourself!) that quality fine art reproductions can make. Drop by the Hyperspace print gallery to see what else we have available.